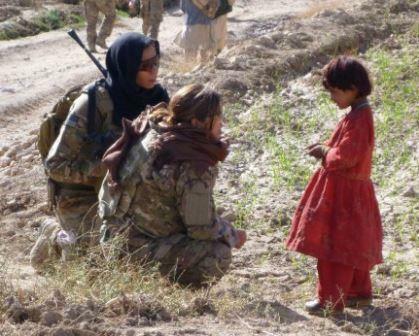 The primary task of the Cultural Support Teams or CSTs was to engage the female population of Afghanistan. Contact with Afghan women is culturally inappropriate for male members of the military. This cultural limitation hinders operations such as civic-action, raids, information gathering, and other types of missions. The CSTs overcame this limitation and allowed coalition force contact with Afghan women - who comprise about 50% of the population of Afghanistan. Background. Cultural Support Teams are comprised of about 3-5 female Soldiers who support special operations forces. They take part in many different types of operations to include combat operations. The CST members are aware of local culture and customs and perform a wide variety of functions such as key leader engagements, village medical outreach programs, and work with SOF teams in support of Village Stability Operations (VSO). Origins of CSTs. USASOC observed the Marines (and later the Army's) establishment of the Female Engagement Teams (FETs) in Afghanistan and decided that the concept had merit. Navy Admiral Eric Olson, now retired, but in the spring of 2010 the commander of U.S. Special Operations Command, issued an order to create the Cultural Support Teams. The Cultural Support Team concept was developed, females were recruited, selected for training, trained, and then deployed to Afghanistan in support of Special Operations Forces. Selection for CSTs. The requirements to be on a CST are demanding and the selection course will weed out those women not suited. 1 The selection course is conducted by the United States Army Special Operations Command (USASOC) at Fort Bragg, North Carolina.The selection and assessment course is ". . . five days of physical, mential and intellectual evaluations designed to determine a candidate's ability to maintain her composure, apply logic, communicate clearly and solve problems in demanding environments. The candidates are expected to skillfully manage simulataneous tasks and comprehend ambiguous instructions while working under varying degrees of uncertainty with little feedback. The program is as much a mental test as it is a physical test." Training of CSTs. The training for a member of USASOC's Coalition Support Team (CST) is demanding. 3. 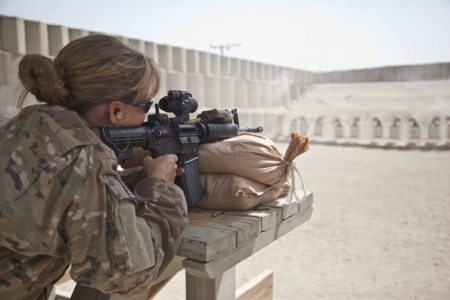 For some insight on the training view a blog post by SOFREP entitled A Female CST and Special Forces Enabler Speaks Out accessed here. In 2013 the training for CSTs was five weeks long - held at Fort Bragg, North Carolina. In 2015 the SORB website stated CST training was six weeks long. Marine Corps CSTs. The Marines Special Operations Command also has Cultural Support Teams. 2. The members of the USMC CSTs also attend the Special Operations Training Course or STC. In addition, once selected, the CST members attend SERE, the MARSOC CST Course and other courses that are tailored towards their deployment. Concept of Employment and Operation. The CSTs engage in a host of activities to include key leader engagement, rapport building, medical outreach, humanitarian assistance, and micro-enterprise projects. The CSTs are usually assigned to Special Forces teams that are conducting Village Stability Operations or VSO in Afghanistan or to Ranger units conducting direct action missions (usually night raids) in Afghanistan. CSTs - Special Operations Recruiting Battalion. How to join a CST. January 14, 2016. "Integration of Women in SOF Units", SOFREP. In December 2015 SECDEF directed that all military jobs, units, and training are open to women to include special operations. September 22, 2015. "Curb Your Enthusiam / Skepticism Over Women in SOF", By T. Negeen Pegahi, Small Wars Journal. Katt, Megan. Blurred Lines: Cultural Support Teams in Afghanistan, September 30, 2014. National Defense University Press. Available here. Fraser, Charotte. The Deployment of Female Counterinsurgents in Afghanistan, E-International Relations, February 22, 2014. Available here. Haring, COL Ellen, "Female Engagement Teams: An Enduring Requirement with a Rocky Start", US Army Peacekeeping & Stability Operations Journal Online, Volume 3, Issue 1, October 2012, pp. 7-12. Canales, Petty Officer 2nd Class Dominque, "NSW Cultural Support Teams: Females fill critical battlefield role", Tip of the Spear, July 2012, pages 22-24. Holliday, LTC Janet R., "Female Engagement Teams: The Need to Stardardize Training and Employment", Military Review, pp. 90-94, March-April 2012. Russo, Claire and Shannon Spann, Female Networking Operations: A Tactical Tool for Strategic Advantage, Orbis Operations, LLC, June 2011. Bedell, 1stLt Zoe. United States Marine Corps Female Engagement Team, May 2011, USMC FET Briefing. Posted here on NATO's website. (Adobe PDF). Center for Army Lessons Learned (CALL). Commander's Guide to Female Engagement Teams, Handbook by CALL, Version 1, May 2011. (FOUO). Facing Down Threats: Opening Afghanistan Schools, Marine Female Engagement Teams in Action, March 2014. Available here on YouTube (2.5 mins). Nangarhar Female Engagement Team. Available here on DVIDS. May 31, 2013. March 26, 2016. 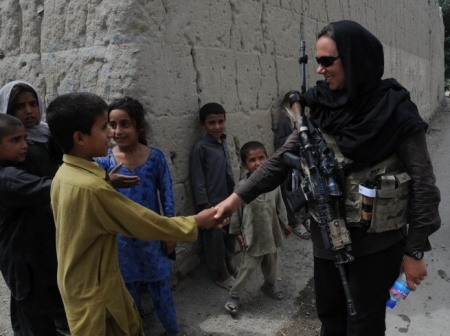 "Women in special forces: What the U.S. can learn from the Afghans", Military Times. 80 Afghan female members now with Afghan Special Security Forces (ASSF). November 25, 2015. "Female Army CST-2 members share their stories", Army.mil. July 17, 2015. 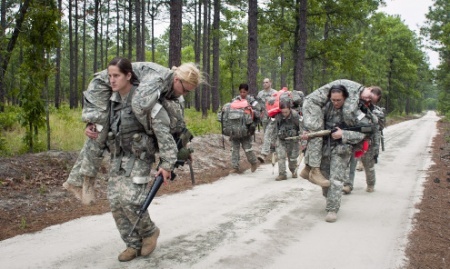 "Organizations seek to research, document women's combat experiences". DVIDS. George Washington University conducts a conference to research CSTs. May 19, 2015. "The Army's all-women special ops teams show us how we'll win tomorrow's wars". By Gayle Tzemach Lemmon, The Washington Post. May 8, 2015. "Our Secret Weapon". Slate Magazine. Inside the U.S. team of elite female soldiers who fought on Afghanistan's most dangerous terrain. An excerpt from the book "Ashley's War" by Gayle Tzemach Lemmon. April 30, 2015. "Cultural support team women serve with distinction". Army.mil. Three women who served on CSTs with special operations detail their deployments. Apriil 29, 2015. "The Story of the Incredible Women Who Served With Special Ops Units in Afghanistan". By Anna Granville, Task & Purpose. April 28, 2015. "Women in special operations: Female troops detail their time in combat". The Washington Post. 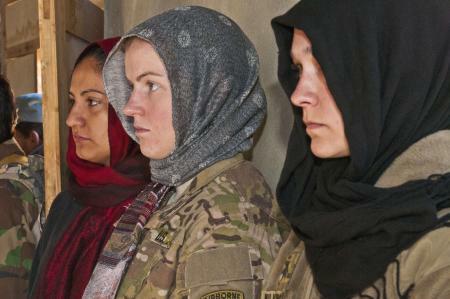 Women recount their experiences serving in Afghanistan w/ SF. April 24, 2015. "Meet the Real-Life G.I. Janes Who Served with Special Ops in Afghanistan". People Magazine. April 21, 2015. "'Ashley's War: A look at the use of Cultural Support Teams in Afghanistan", by Brian Castner, Foreign Policy. A review of a book about a CST member who died in Afghanistan. April 19, 2015. "Inside the military program that put women in combat", New York Post. March 29, 2014. "Heroic Madigan nurse ran 'into hell' during bombings in Afghanistan". Stars and Stripes. CPT Jennifer Moreno tried to assist wounded Soldiers. March 4, 2014. "2nd Cav. Regt., 10th Sust. Bde. FETs reflect on female ANP successes". DVIDS. FET based at Kandahar Airfield mentors 8-week female ANP basic course. December 19, 2013. "Former Eagles cheerleader now stars for the Army". USA Today. Rachel Washburn deployed on Cultural Support Team attached to a special operations unit. November 3, 2013. "Lecture: Woman in a Man's World with Special Forces in Afghanistan". Chestertown Spy. October 8, 2013. "Soldier with Fort Bragg ties among four killed by IED in Afghanistan". Fayetteville Observer. 1LT Jennifer M. Moreno was a member of CST. September 14, 2013. "N.C. National Guard Soldiers Honor Fallen Comrade with Memorial". DVIDS. 1LT Ashley White-Stumpf, a fallen CST, is honored. View the article here. August 29, 2013. "One of the Few". Army Reserve. A member of the 448th Civil Affairs Battalion goes through CST training. April 12, 2013. "Female Engagement Teams level the playing field in Afghanistan". DVIDS. View article here. Training for FETs outlined in story. April 2, 2013. "Female Soldiers sets sights on special operations". Army.mil. News article focuses on training and employment of CSTs. View article here. February 25, 2013. "Life on COP Jannat: through a FET's eyes". Here on DVIDS. A Female Engagement Team (FET) describes their mission on COP Jannat. December 29, 2012. "The end of female engagement teams". Marine Corps Times. A Marine spokeman says the use of Marine FETs has been discontinued. (Note: this news report could be inaccurate). September 9, 2012. "Vanguard soldiers try out for female engagement teams". DVIDS. The selection process proves to be a grueling event. Available here. August 23, 2012. "Wisconsin National Guard cultural support team receives a hometown welcome at Miller Park." Available here on Wisconsin Department of Military Affairs. June 12, 2012. "Female Guard Solders recall Special Forces mission in Afghanistan". Wisconsin Department of Military Affairs. October 31, 2011. "In War in Afghanistan, Missions Just For Women". National Public Radio (NPR). Kevin Maurer is interviewed about CSTs in this audio clip of 10 minutes. October 27, 2011. "In new elite Army unit, women serve alongside Special Forces, but first they must make the cut". By Kevin Maurer, The Washington Post. A description of the selection and training for the CSTs. July 27, 2011. "Female Wisconsin Guard Soldiers prepare to make history". Wisconsin National Guard Public Affairs Office. Four members of the guard complete Cultural Support Team training and are enroute to Afghanistan to work alongside special operations forces. March 12, 2011. "FET Supports International Women's Day Celebration in Baghlan Province". DVIDS. Major Linda Johansson (Sweden), the Female Engagement Team coordinator participates in celebration. Available here. February 8, 2011. "CST: Afghanistan". By Paula Broadwell. The Best Defense Blog. Available here on Foreign Policy. January 21, 2011. "Course trains cultural teams to work with women in theater". Army.mil. Available here. December 9, 2010. "Women-led US teams work with Afghan women". Army.mil. Available here. 1. For more on the selection and training for CSTs see "In a new elite Army unit, women serve alongside Special Forces, but first they must make the cut", The Washington Post, October 2011. Article available here. 2. See the Marines website for more info on the MARSOC Cultural Support Team (CST) program at the following link. 3. For more information on the demanding training that Cultural Support Team members undergo see "One of the Few", DVIDS, August 28, 2013. 4. For text in quotes about CST selection read "Cultural Support Assessment and Selection program", DVIDS, July 7, 2011. Female Soliders by Future War Stories. A glimpse of female soldiers in armies around the world and futuristic female soldiers of Hollywood.